Prominent Retail Space Opposite Stratford Station – 2,350 sq. ft.
prime frontage onto Stratford Station, a very visual corner retail unit with direct access from the street. 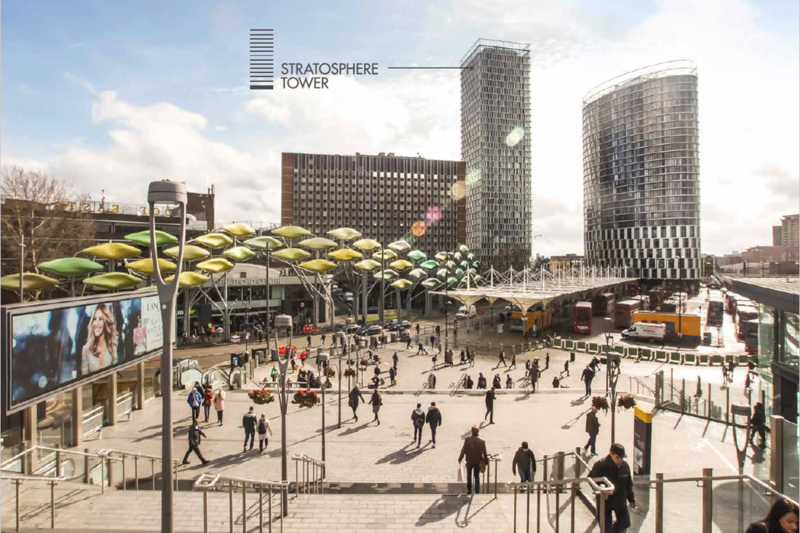 Stratosphere Tower is a spectacular 36 storey tower located in the heart of Stratford, an area that has enjoyed an unprecedented £21 billion of private and public sector investment in recent years, with a further £4 billion to follow over the next 10 years. The Elizabeth Line is due to open in 2018 and is set to transform Central London’s transport capacity from east to west and substantially reduce journey times. For further information about this property, please call us on 020 7336 1313.